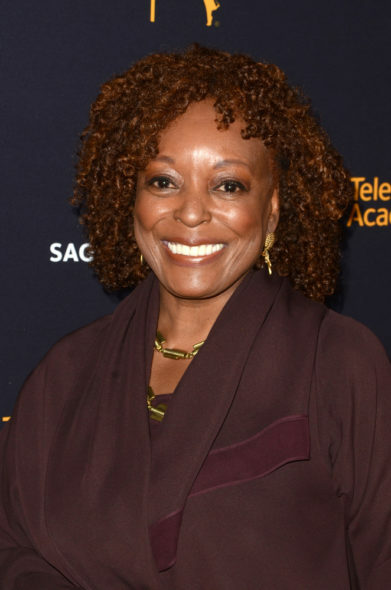 L. Scott Caldwell, who played Rose Nadler on Lost, will guest star in season 4B of the Brooklyn Nine-Nine TV show on FOX. She has been cast as Laverne, the mother of Andre Braugher’s character, Captain Ray Holt, despite being only about a dozen years older than her on screen son. Caldwell’s character is a federal judge. She’ll enter the story though, as a crime victim. A crime comedy series, Brooklyn Nine-Nine also stars Andy Samberg, Stephanie Beatriz, Terry Crews, Melissa Fumero, Joe Lo Truglio, Chelsea Peretti, Dirk Blocker, and Joel McKinnon Miller. Although season 4B returned to FOX last night, Caldwell’s episode will air in May. Recently, Caldwell starred as Belinda Gibson on Mercy Street, which was cancelled after two seasons on PBS. She’s also played Jasmine in the current third season of How to Get Away with Murder on ABC. What do you think? Are you an L. Scott Caldwell fan? Do you plan to check her out in the fourth season of Brooklyn Nine-Nine on FOX? More about: Brooklyn Nine-Nine, Brooklyn Nine-Nine: canceled or renewed?, Lost, Lost: canceled or renewed?